Learn how to set up tabbed browsing for your kiosk. Does tabbed browsing make sense for your kiosk application? 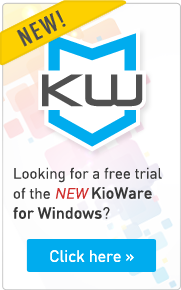 KioWare for Android, as well as KioWare for Windows version 8.0 and newer, support tabbed browsing. In KioWare for Android, open the configuration tool and tap on the Browser tab. Tap Popup Window Handling and choose New Tab. In KioWare for Windows, open the configuration tool and click on the Browser tab. Beside Popup/Tab Settings, click the dropdown menu and choose Always Open in New Tab. That’s it! This is a simple setting to adjust. If you have any questions about tabbed browsing in KioWare for Android or KioWare for Windows, just contact us and we’ll be happy to help.